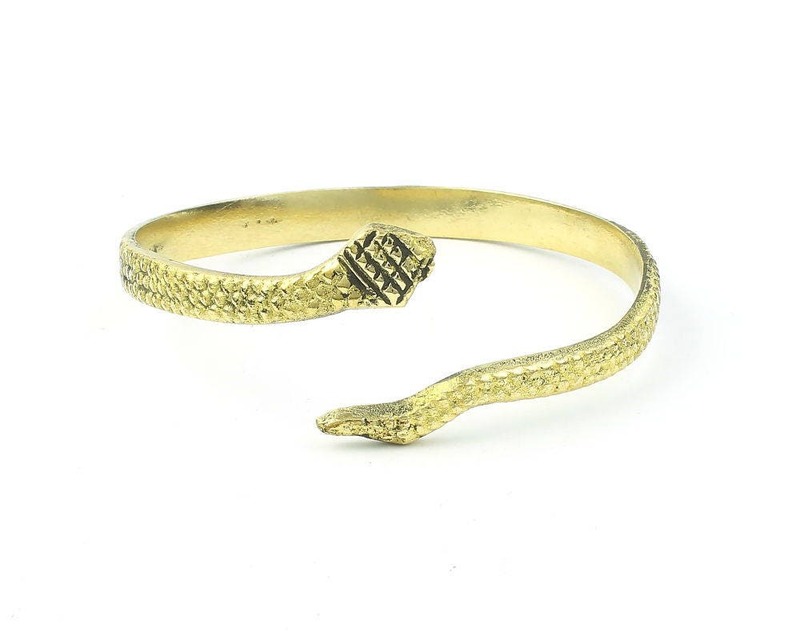 Beautiful wrap around snake arm cuff. Lovely snake skin detail etching. Exactly as pictured, reasonably adjustable by pinching it closed more. Love it.